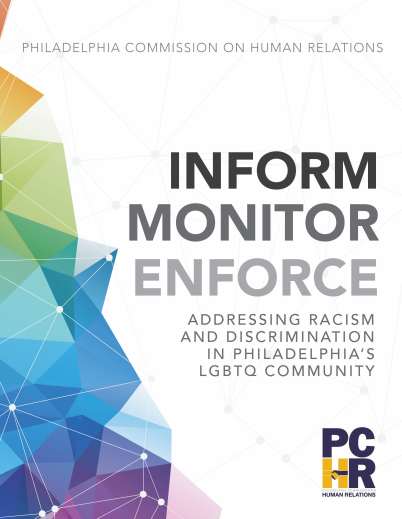 Board members, directors, management and staff of the Mazzoni Center and Philadelphia FIGHT must receive training on the FPO and implicit bias. It is recommended that other non-profits serving the LGBTQ population voluntarily participate in these trainings as well. 2A Many people who gave testimony about their experiences working at non-profits and social service agencies serving the LGBTQ population reported to us that they did not file claims with the PCHR because they were unaware of the City’s laws under the FPO or feared retaliation if they asserted their rights. Requiring training for all stakeholders of the non-profits, at all levels, will ensure that all stakeholders are clear on when they are violating the law or being subjected to unlawful discrimination. 2B All non-profits should adopt model policies, provide ongoing training on policies and emphasize their incident reporting process. Model policies should include clear reporting hierarchies with checks and balances for reporting complaints. 2C All non-profits and social service agencies must display the PCHR’s informational posters on the FPO in the employee common area. Failure to display these posters is a violation of the FPO. 2D Board and organizational leadership should reflect the demographics of clients and be culturally competent to serve the LGBTQ community; particularly the racially and ethnically diverse and/or transgender members of the community. In order to improve hiring practices, the PCHR strongly recommends the adoption of procedures that will diversify staff and boards. Non-profits can create internal paths for advancement. Temporary, short-term or contract employees in good standing should be considered for full-time jobs whenever possible.